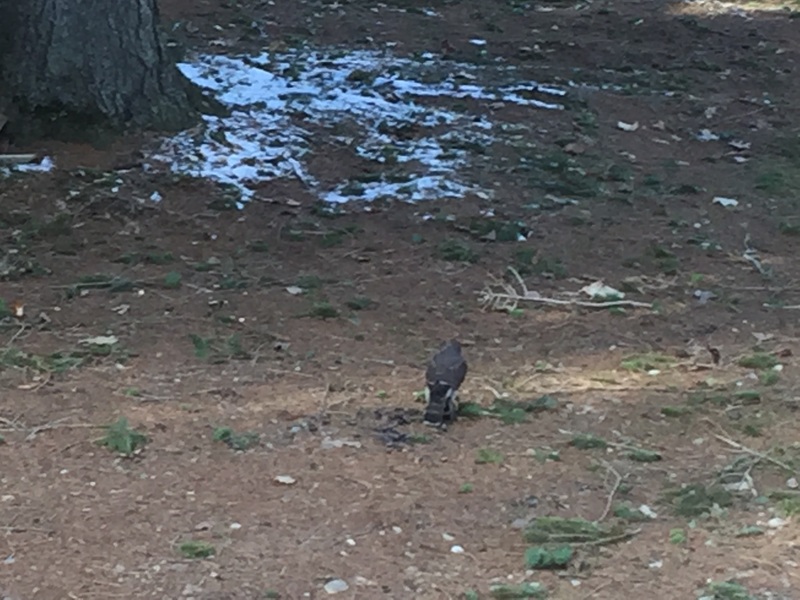 Here is a video of the hawk plucking out the other bird’s feathers so it can eat. For more information on Cooper’s Hawks in general, click here. This entry was posted in Animals, General Information and tagged animals by Dan. Bookmark the permalink. 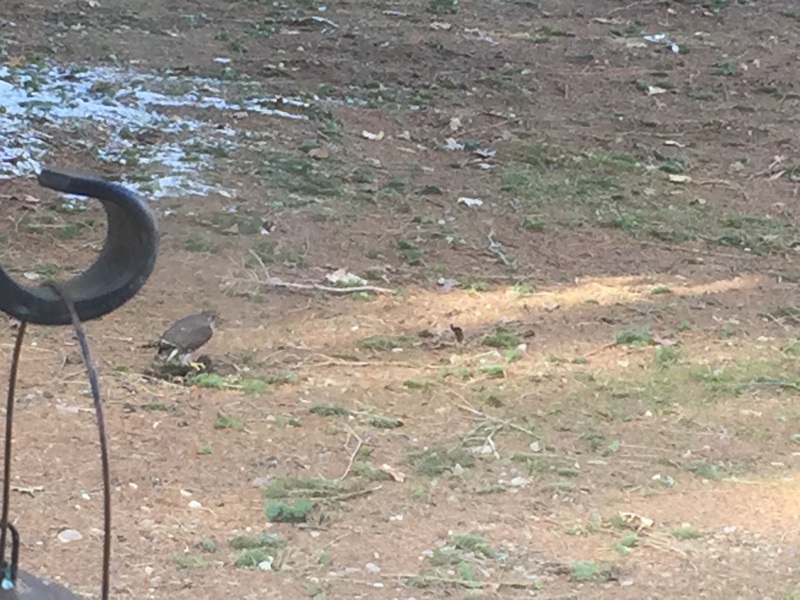 The summer before last, we saw a Cooper’s Hawk a couple times behind our building in Williamsburg (https://www.allaboutbirds.org/guide/Coopers_Hawk/id). We also saw a kestrel but only once (https://www.allaboutbirds.org/guide/American_Kestrel/id). But these days, in our new place (also in Williamsburg), we see redtails all the time, but they’re pretty common in the city as hawks go (https://www.allaboutbirds.org/guide/Red-tailed_Hawk/id).